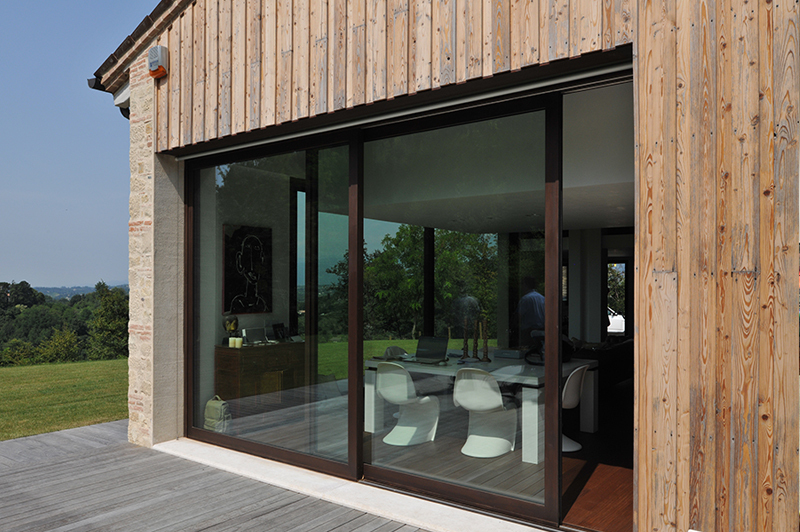 If you’re already familiar with lift and slide doors then you know that they offer unparalleled views. However, there are many benefits to these doors that can make the difference in your home between traditional doors and simply stunning doors. Here are just a few of the many reasons to consider lift and slide doors. Operation. The way these doors work is allowing seamless opening and closing operation. The roller system allows the door panels to be lifted instead of sliding across the track. View. Since the track is flush, you get more of an unencumbered view and with the many styles available, no matter what your aesthetic, you can find one that showcases your decor. Even a variety of sizes are available in up to 20′ tall and 15′ wide. Energy Saving. Since lift and slide doors have optimum sealing, they are one of the most energy saving products you can find on the market when it comes to doors. You won’t find your heat or cooling escaping and costing you extra money; you’ll be saving money instead. Saves Space. Since lift and slide doors don’t needs as much room as a traditional door, you have more room to do the things you want. With a regular door, it will swing in our out, taking up precious space. These do not, which gives you more room on the inside and the outside. An indoor planter, an outdoor patio on the grill and anything else you want to place can finally have the room.